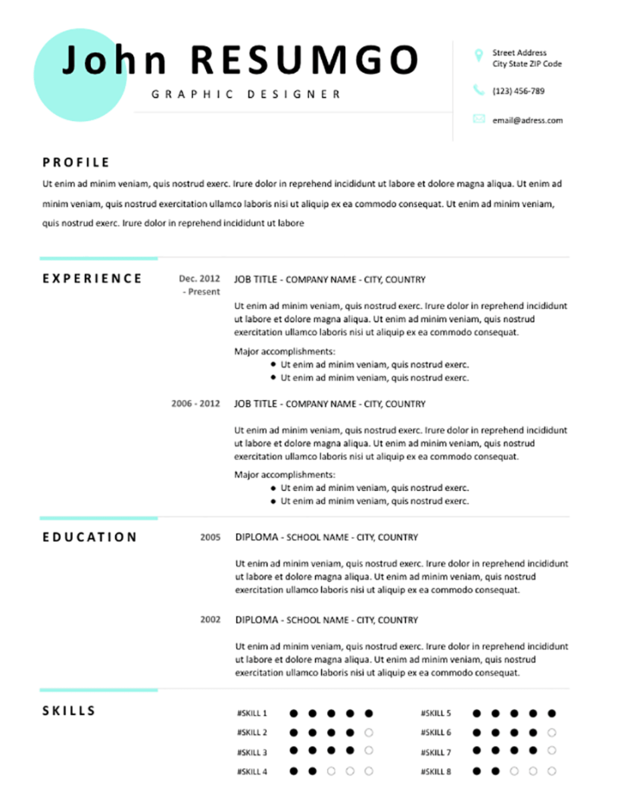 Makarios is a free fresh resume template, using pale blue basic elements. 1-column structure layout. A blue circle shape gives this simple and clean template a subtle modern touch. Each part is separated from each other by a full-width blue divider line (thicker above the title text). The skills part uses equalizer-type dot charts.